Remember summer last year when you couldn’t scroll through your feed for over five minutes without running into a photo of someone riding a unicorn or a swan float? Yeah, it was fun. And just mildly annoying. The good news? It’s almost summer again. The bad news? Your social media feeds will be filled with pool floats again. Instead of gnashing your teeth at the sight of people striking their best pose while riding one, why not just join the fun? Here are some awesome floats that would look picture perfect on your Instagram. 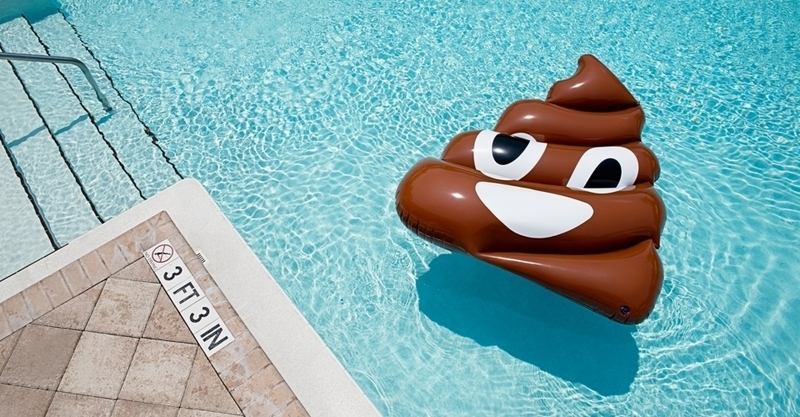 Likely set to be the pool float of the summer, this inflatable version of the nastiest emoji in existence will be the hands-down attention grabber at any pool party. At over six foot tall, it’s one big floating turd, too. 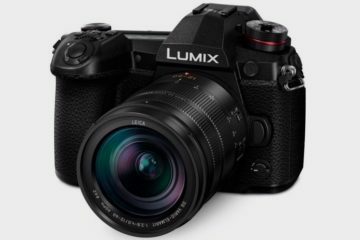 Seriously, man, if you walk in carrying this in hand, everyone will be screaming, “Holy crap, you’re the man” while giving you a high-five and handing you a drink. And, yes, they’re handing you that drink so they can pry the poo emoji float out of your hands and take it for themselves. 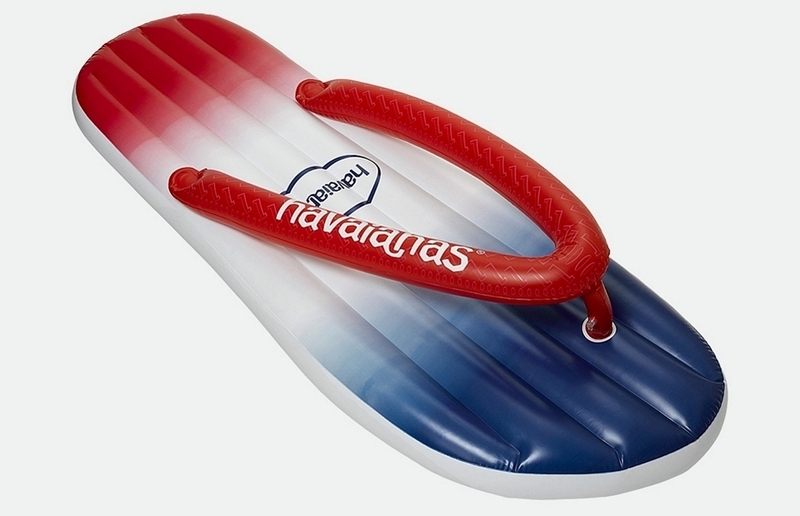 Yes, it’s a pool float that looks like a Havaianas flip-flop. And, no, it doesn’t stink like that Havaianas flip flop you wore to death while sweating like an ice cube in the summer at the beach party last year. 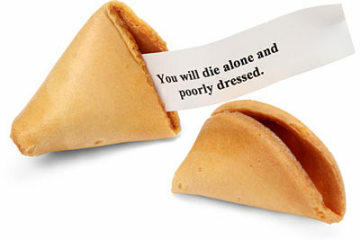 At least, we hope not. Plus, you can have it stepping on the Poo Emoji Float in a realistic recreation of many beach scenes where dogs and humans all chill together in the sand. 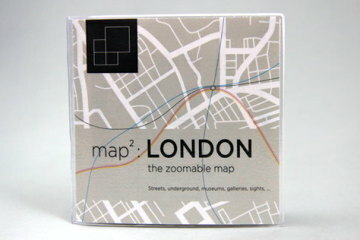 It measures 65 x 25.5 x 6 inches (length x height x width). The hands-down star of impossible-to-count Instagram posts, this mythical horned creature continues to spread magic and whimsy wherever it goes, whether you catch it in a hotel pool, in a private resort, or your rich neighbor’s Olympic-size inground. This one’s the giant variety, measuring 108.2 inches long when fully inflated, ensuring two adults can ride it to the end of the rainbow in absolute comfort. You know those inflatable Air Dancers that flail their arms and swish their bodies in goofy fashion? Yes, the ones businesses use to attract attention during events and promotions. 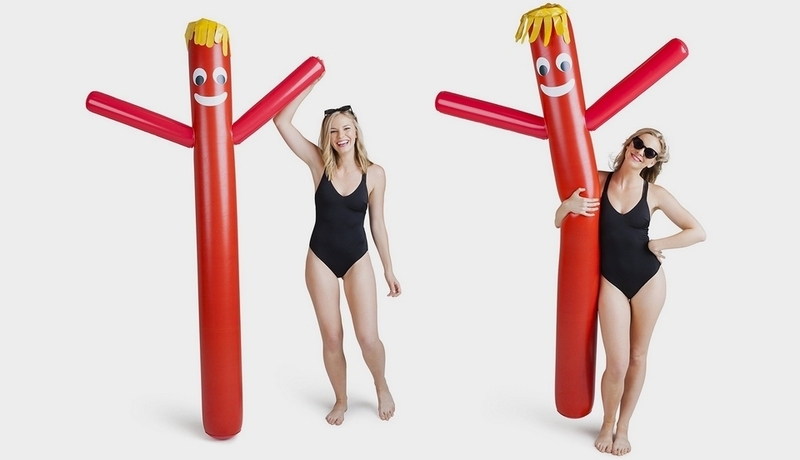 Well, someone turned them into six-foot tall pool floats that you can use to attract people to your pool party. Or something like that. Granted, these ones won’t wave unless you actually move their limbs yourself, but they should make for an interesting addition to any summer shenanigan all the same. Derby duck races have helped countless non-profits and charity organizations raise funds for their causes. And the star of the show has always been those shades-wearing rubber duckies that just look too cool for school. This supersized version of the world-renowned duck sees it blown up to 81 x 76 x 44 inches, complete with four handles, dual cup holders, and quick-fill valves that let you blow it up five times faster than other inflatables its size. And, yes, the darn thing still looks too cool in its supersized stage. Another emoji-turned-pool-float, this inflatable version of the all-familiar eggplant is designed to be ridden like a bull. Well, if bulls had purple skin and a tail for a head, that is. 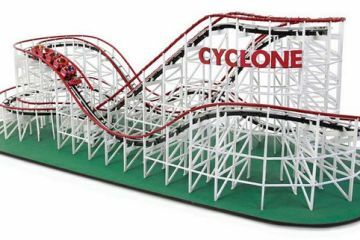 At over six foot long, there should be enough room there to accommodate more than one rider, with footpads at the base to help folks keep their balance while it bounces around in the water. Sometimes, you just want your pool to look sweeter. And there’s no better way to do that than littering it with giant donut floats with a small piece bitten off for no reason whatsoever. Because, you know, what good is a donut if no one wants to eat it? Somebody wanted to eat this one, but since it’s four foot in diameter, they died of sugar overdose the moment they finished chewing through that single bite. RIP. Oh yeah, it comes in two candy-coated flavors. We’re not quite sure how well Mr. Whale will fare in terms of Instagram popularity, but at 138-foot long with three sets of hand holds along its body, this can make for some serious fun in the water. Plus, it’s probably huge enough to actually make a dump as big as that 6-foot Poo Emoji, so you can have proper story continuity ongoing in your backyard pool parties. Can’t stomach parading on social media riding a swan pool float when the rest of your feed is sci-fi and Star Wars? Yeah, we got you. How about spending the summer chilling with this Star Wars Millenium Falcon XL float from Swimways? At 61 x 46 x 13 inches, this thing should be big enough to ride even for grown fanboys, but the real star of the show are those awesome graphics that really bring out the likeness of Han Solo and Chewbacca’s beloved hunk of junk. Quite possibly the original pool float star of Instagram, this 80-inch long blow-up flamingo will let you look all glammed up and posh while chilling in the middle of the pool. Granted, the swans, flamingos, and unicorns are, pretty much, all played out on everyone’s feeds if your sole intention is to show off for your social media fans, but a couple of these on an actual pool can really step the fun factor up a notch. Cute giant pool floats are cool and all, but how lit is a party when no one’s getting wasted? 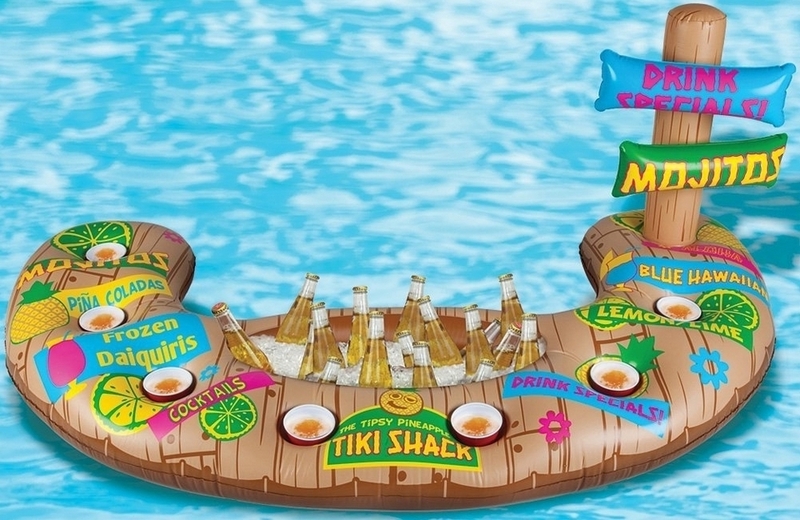 This floating tiki bar lets you enjoy a dedicated spot on the water for setting down beer cups, tequila shots, and whatever else you’re imbibing at the party, so you can stay in the water and get buzzed all at the same time. With seven individual cup holders and a central section for holding ice, this should make for a handy addition any popping celebration. This post is perfect! I absolutely love the Giant Donut Pool Float! It’s way too cute! Our new house has a beautiful pool, but we don’t have any accessories to go with it yet. It’ll be our first summer at our new house and I would like it to be fun. I think I am going to order the pink for me and the brown one for my husband. 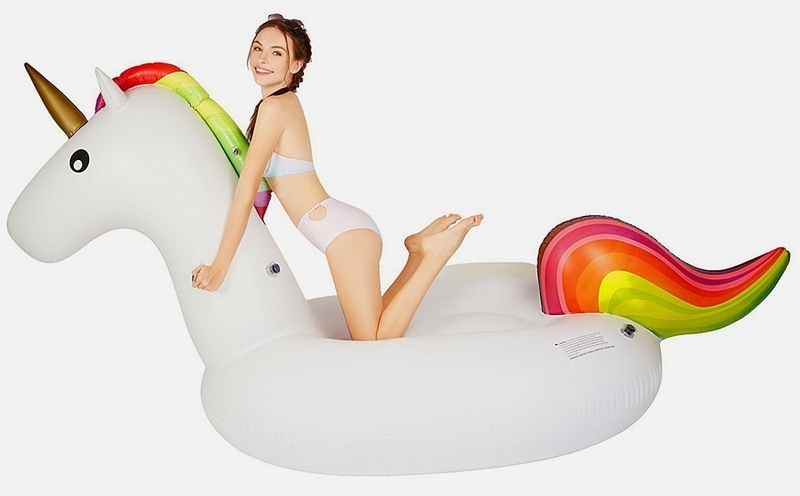 (The Unicorn Pool Float is super cute too, but I can’t see my husband lay on it with me.) It’ll be a lovely surprise for when we open the pool in a couple of weeks. I am going to have to get a couple of extra floaties for when our friends come over and crash our pool too. The Giant Eggplant Emoji Ride-On Float and the Giant Poo Emoji Float are ridiculous as hell, but I know my friends will absolutely love them. Make sure you store it safely in your garage when it is not in use. The UV rays will destroy these a lot quicker if it is constantly in the sunlight. By keeping it store in a garage it can be shaded from the IV rays which will help them to last longer. The only exception is if your garage is extremely hot, then I’d store it inside your home in a room that is kept at a normal temperature level. I’ve seen the huge rubber ducky float before, but none of the others. The poo emoji float is funny, but I would still pick any of the others first. Why is the poo emoji being used for so many different products? It’s like the Hula Hoop and the fidget spinner. It’s just a fad. Unfortunately this fad continues to restart when it’s used on a new product. It seems like we see the poo emoji more than the happy smiley face. I think the poop emoji is just what is popular with the kids nowadays. I’ve seen it on just about everything lately from key chains to stickers and t-shirts. Even my sister in law (who’s a good 12 years younger than my wife and I) has a pillow that’s the poop emoji and it just baffles me why it’s so “cool.” I must be getting old or something because I don’t get it. I was surprised to see the eggplant on here too, which is also trendy but means something else entirely unlike the poop emoji. We have a pool and my sister in law is here almost all summer. As much as I think the poop emoji thing is dumb, I think I am going to order one for her anyway as a surprise. If she likes, then I am happy for her. Hopefully she won’t be insistent to use it while my friends are over. The floating Tiki bar is the best one because it can hold my drinks. I would buy this one if I had my own pool but I only have access to the public pool. Wouldn’t want to carry drinks there as the kids would splash the chlorinated pool water into my Budweiser. What’s the weight limit on these? That’s a shame; we don’t have a pool either. 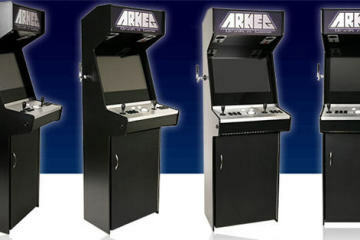 I really want to get one, but they’re so expensive. I hate having to wait for the grade school kids to be out of school, just for them to open the pool. Also I don’t think the public pool allows for any food or drink especially alcohol in the pool area. At least our public pool here doesn’t, because of impressionable minds and all that jazz. I tried finding the weight on the Floating Tiki Bar and I couldn’t find it anywhere. I think it may depend on how big the pool is to some degree? But the photo has 15 bottles in it, so I probably wouldn’t put more than a 12 pack in there just in case. Although it doesn’t look like it would last long with 6 people drinking. My husband and I rarely drink alcohol, but I really appreciate number 12 – the Floating Tiki Bar! I know you’re not supposed to eat or drink directly after or while eating, because you can get sick and toss your cookies, but we do it anyways. Doesn’t everyone do it anyways? I admit it would be nice to have a drink and maybe some snacks in the pool while we lounge, even if it is just for us. I can see us using it for when friends come over too. I wonder how steady the Floating Tiki Bar is in the pool. Like if my friends get rowdy or something, how easy is it going to be to tip over? I don’t want soggy doritos or drinks upside down in the pool. Either way this is awesome and I am definitely ordering it in time for this summer’s pool parties! The Floating Tiki Bar is my favorite too. I think the 138-foot long is supposed to read 13.8 feet? At 138 feet long it would be almost as wide as a football field lol. I also like the giant rideable eggplant float but I wouldn’t buy that one for my kids as it is obviously meant to be symbolic of something else. I can vouch for the Unicorn. It is sturdy, tall, and comfortable to play on. 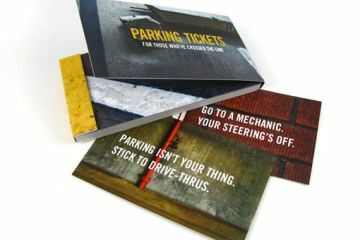 These are pretty durable for the money too. If you take care of it then you can easily expect it to last 2-3 seasons of moderate to heavy use. My daughter wants me to get the giant rubber ducky pool float next. These inflatable pool floats are easy to inflate, and unlike foam floats, the inflatable floats are easy to take to other venues. If you want to take it to the pool one day and then the river stream the next day you can. The inflatable floats are also much more colorful and have better looking designs than the foam floats.